Harmonic (NASDAQ: HLIT), the worldwide leader in video delivery technology and services, today announced that TF1, a leading French TV channel, has deployed an Ultra HD (UHD) contribution and distribution solution from Harmonic to broadcast live sports events, including the world’s largest soccer tournament and a premier motor racing championship. Using Harmonic’s platform, TF1 can deliver live UHD coverage of premium sports competitions directly to French service providers, providing exceptional video quality at low bit rates. Harmonic’s ViBE CP9000 HD/UHD contribution solution preserves video quality at the front of the broadcast chain — with the ability to process uncompressed UHD signals that are eight times more bandwidth-consuming than current HD sources — and creates pristine compressed video, which saves TF1 tremendous bandwidth capacity. Further information about Harmonic and the company’s solutions is available at www.harmonicinc.com. 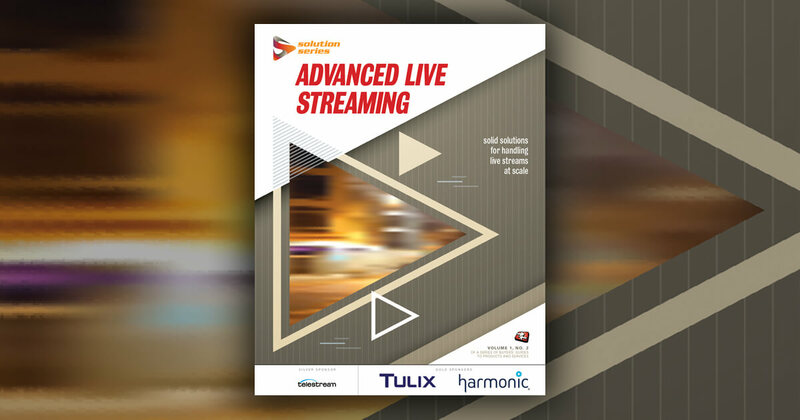 Harmonic (NASDAQ: HLIT), the worldwide leader in video delivery technology and services, enables media companies and service providers to deliver ultra-high-quality broadcast and OTT video services to consumers globally. The company has also revolutionized cable access networking via the industry’s first virtualized CCAP solution, enabling cable operators to more flexibly deploy gigabit internet service to consumers’ homes and mobile devices. Whether simplifying OTT video delivery via innovative cloud and SaaS technologies, or powering the delivery of gigabit internet cable services, Harmonic is changing the way media companies and service providers monetize live and VOD content on every screen. More information is available at www.harmonicinc.com.